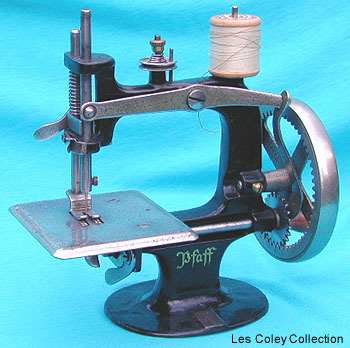 Toy sewing machine - Pfaff miniature. The ever popular Singer 20 was cloned by small and large companies alike. This particular example was produced by the major German Pfaff Corporation.